AnyIndo - In this article we are going to share an article it is Transfer File From Android To Computer Without Cable Easily. We often need the files contained in our Android smartphone. Indeed, it is not a problem because we can use the data cable that was provided when we buy a smartphone. But it becomes a problem if we did not bring the data cable. 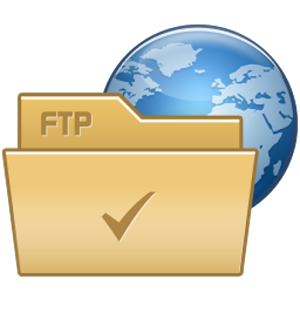 Don't worry, there is good news for Android users, there is an application called FTP Server which can download and upload files from and to our smartphones. With the proviso for computers and smartphones we can connect in a network (WiFi). First download and install the FTP Server program from Google Play. To download a file we could use some kind of programs such as FileZilla FTP Client. But it is not easy to use a browser, such as Mozilla Firefox. Write down our FTP address in the browser, as shown below. If required username and password write down your username and password as shown in our smartphone screen. To turn off ftp, FTP Server program open back. Press the Power button until the FTP address does not reappear. That's all about Transfer File From Android To Computer Without Cable Easily. If you have any question related to this question, you can leave comment bellow. If we are not busy, we will reply it as soon as possible. Belum ada tanggapan untuk "Transfer File From Android To Computer Without Cable Easily"